As a private telephone network, private branch exchange (PBX) helps enterprises to manage their incoming and outgoing phone calls efficiently. 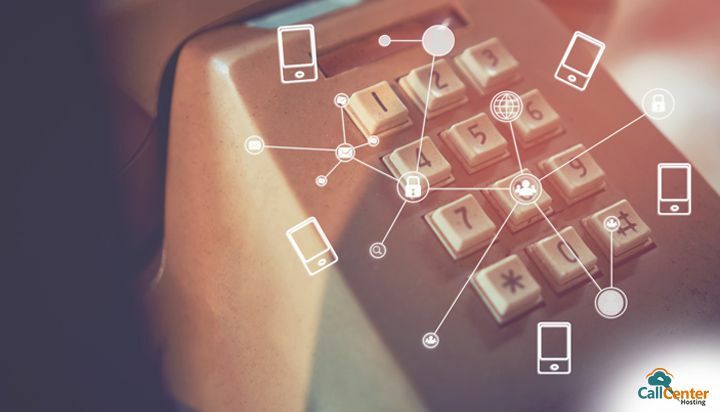 Both small and large enterprises these days use PBX phone systems to deliver customer support, distribute incoming calls automatically, maintaining communication between various departments, and broadcast voice-recorded messages. The new age PBX systems help businesses to monitor and streamline their call center operations by providing useful features like call recording, call monitoring, and call analytics. An enterprise also has the option to choose from different types of PBX phone systems. The PBX phone systems can be divided into two broad categories – traditional and hosted PBX. The conventional PBX system requires businesses to run VoIP telephone systems using equipment – servers, appliances – deployed on its on-premise IT infrastructure. The business needs to purchase the equipment required to enable the VoIP telephone systems as well as deploy IT staff to upkeep, manage, and upgrade the equipment. On the other hand, the hosted PBX solutions are deployed on an offsite IT infrastructure which is provided and managed by the cloud service providers. The businesses can access the hosted PBX solutions over the internet based on a pay-as-you-use pricing model. They simply need to purchase the desk phones. The hosted PBX solution provider keeps the system up-to-date and takes care of IT infrastructure maintenance and updates. It is always important for decision makers to keep in mind major differences between traditional PBX and hosted PBX to choose the right one for your business. When a business opts for an on-premise PBX system, it needs to purchase the required hardware and compatible software. Also, it needs to keep upgrading the IT infrastructure on a regular basis to manage incoming and outgoing phone calls efficiently. Hence, conventional PBX systems make business incur additional upfront and ongoing expenses. On the other hand, the users can access hosted PBX solutions based on Software-as-a-Service (SaaS) cloud delivery model. They can further use the telephone service based on pay-as-you-use pricing model. Many enterprises nowadays switch from traditional PBX systems to hosted PBX solutions to curtail upfront and ongoing expenses. The conventional PBX systems are deployed on a business’s own IT infrastructure. The businesses need to maintain and upgrade the telephone system regularly to improve internal and external communication. Hence, it needs to deploy dedicated IT staff to maintain, manage, and upgrade the telephone system. The hosted PBX solutions run on a remote IT infrastructure provided by the provider. The users are not required to upkeep and update the phone systems. Many enterprises prefer hosted PBX to onsite PBX to focus on business operations instead of maintaining the phone system. Many enterprises nowadays function in distributed work environments and work with remote employees. Both onsite and offsite PBX systems enable businesses to work with remote employees. But the on-premise PBX systems require businesses to invest in additional equipment to facilitate seamless communication and collaboration between onsite and remote employees. The employees can access and use the hosted PBX solutions over the internet. Hence, the businesses can connect multiple offices and work with remote employees without investing in additional equipment. Often enterprises need to scale up their telephone systems due to increase in the number of employees or surge in incoming/outgoing call volume. The businesses don’t have to deploy additional equipment or IT staff to upgrade their hosted PBX systems as per the needs. The IT professionals even need time to scale up the existing PBX systems. On the other hand, cloud-based technologies make hosted PBX solutions easier for users to scale up or down the hosted PBX solutions on demand. 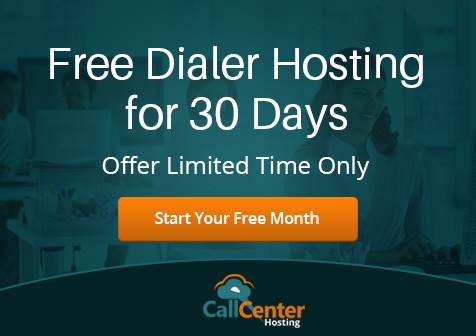 The seasonal businesses opt for hosted PBX solutions to add users during peak season by paying only for the telephone services used by them. The users can extend both onsite and offsite PBX systems by using specific extensions. The users even have the option to add or remove extensions according to their current needs. But users often find it daunting to add extensions to hosted PBX solutions using a browser-based interface. But it becomes very easy with a cloud hosted PBX system. The businesses need to train their staff and avail provider’s assistance to customize or extend the offsite PBX system. But the in-house IT staff makes it easier for users to add or remove extensions to the on-premise PBX systems. The hosted PBX solution providers still help businesses to customize telephone systems according their precise needs. The conventional PBX systems are deployed on a business’s own IT infrastructure. The businesses will not be able to initiate outgoing calls and handle incoming calls the onsite IT infrastructure stops functioning. The IT staffs have to put extra time and effort to continue the calls interrupted due to communication outage. But the hosted PBX solutions are deployed on a remote IT infrastructure managed by the cloud service provider. The leading cloud telephony service providers these days ensure business continuity by upgrading and backing up their systems continuously. Hence, it becomes easier for businesses to manage incoming and outgoing calls despite communication outage. The businesses own the conventional PBX systems fully. Hence, they can customize, extend, and modify the telephone systems without any restrictions. Many large businesses still opt for onsite PBX systems to control their phone systems fully. They deploy dedicated IT staff to update, customize, and extend the PBX systems. On the other hand, the hosted PBX solutions are provided and managed by the provider. The businesses have to contact the provider to customize or extend the hosted telephone solutions according to their precise needs. But they can customize and extend the offsite telephone solutions without deploying IT staff. The number of enterprises switching from conventional PBX to hosted PBX has been increasing consistently. A market research study conducted by Markets and Markets suggest that the global hosted PBX market size is expected to grow from USD 4.73 billion in 2018 to USD 9.50 billion by 2023, at a Compound Annual Growth Rate (CAGR) of 14.9% during the forecast period. The enterprises will keep switching to hosted PBX solutions to leverage benefits in terms of cost, performance, flexibility, scalability, and security.